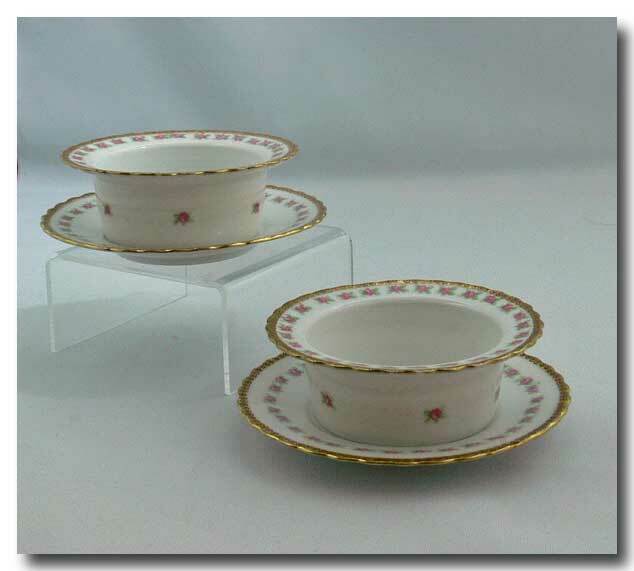 A lovely pair of matching porcelain Ramekins each consisting of a bowl & a plate. Signed on the underside “O. 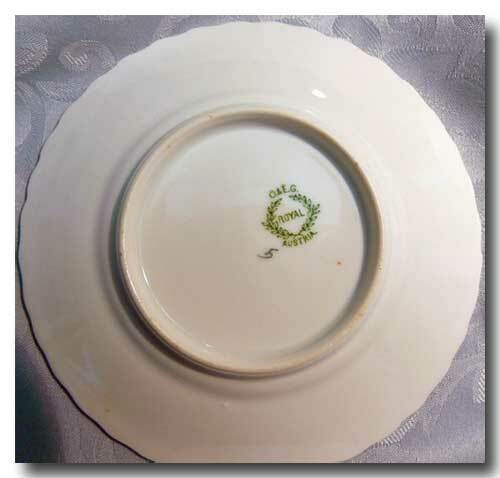 & E. G.” for makers Oscar & Edgar Gutherz of Althrohlau, Austria; and “ROYAL” inside a laurel wreath with “Austria” below. The pieces are hand-painted in a rose & leaf pattern while the wavy edges are decorated in a dark gilt with a circular motif within. The pieces date in the 1899 to 1918 period and are in mint condition. 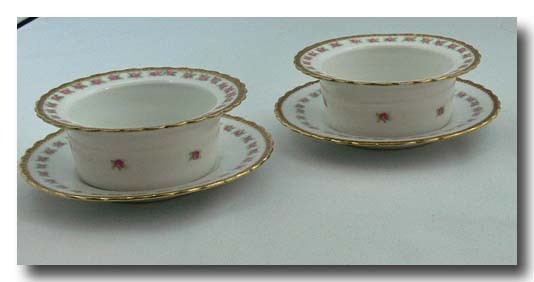 Combined height of bowl & plate together is approx. 2 inches.